Best science toys for 2019 – Get Kids Outside! 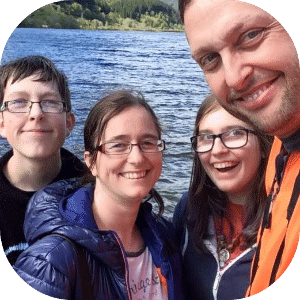 I’m a big advocate of getting kids out in nature, as you know, and also a big advocate of adding learning in to every day life and making it fun. With that in mind I wanted to look at some science kits today as it’s often a great way of getting kids to look at our world in a different way or even to capitalise on a blossoming interest. Nature walks and studies can set off an interest that can stay with kids for ages and science or STEM kits can help or widen that interest eventually building a good foundation and helping when kids get to more formal studying age. So with that in mind, here’s my choice for the best science toys for 2018 and I hope you find it helpful! 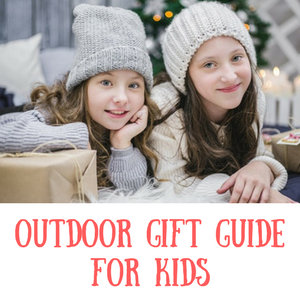 Don’t forget to check out the best outdoor gifts article too. Ages 5, 6 and 7 are great ages for getting interested in science and these kits are definitely good buys that should foster an inquiring mind and lead on to further discoveries. For young children who want to do proper science experiments this is a really nice kit. 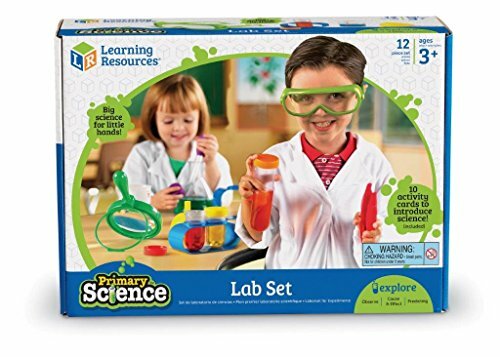 It looks like a proper science set with test tubes, goggles and flasks but it’s very much safe and designed for little kids. You do need to add some items yourself to do the experiments such as some food items as many of the experiments are kitchen science based – bicarb, vinegar, food colourings that sort of thing. Included are some really nice and chunky plastic test tubes, flask, tweezers, goggles, beaker and dropper. There’s also 10 activity cards that are wipe clean and so perfect for enthusiastic scientists! One thing that would make it perfect would be the addition of a lab coat but you can find them separately here. This is a really fun science kit that is good for ages 5 and above. The main focus is on the rainbows and so there is plenty of colour experiments involved and even a bit of chromatography that will come up in formal science lessons! 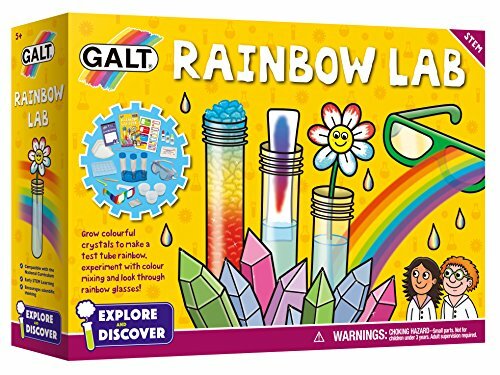 The pack contains 3 test tubes, test tube rack, goggles, colour mixing tray, pipette, polyacrylamide crystals, 3 food colourings, rainbow glasses, 3 plastic cups, mirror, stickers and a notepad. There’s a lab book with 12 different experiments and everything is included so no need to go out and buy more stuff. Microscopes are great for all ages and if you’re looking for a proper one then head a bit further down the page. 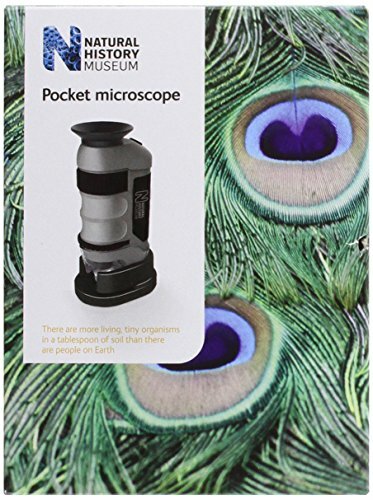 However if you’re just looking to introduce microscopes to your kids or if you want something light that you can put in a nature explorer kit and take out with you on adventures, I can highly recommend this one. The Natural History Museum pocket microscope is one we’ve had for many years ourselves and it has lasted really well. It’s a robust plastic which is just what you need with little ones. It’s perfect for looking at bugs, tree trunks, flowers or anything really. 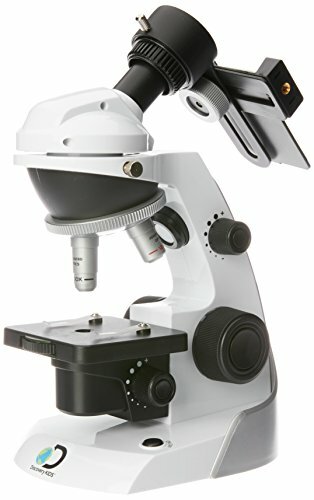 The microscope has a 20x – 40x zoom and it also has a led light which lights up what you’re looking at should you need it. It also comes with a blank slide so you can practice making your own – but I’d definitely recommend pairing this with some pre-prepared slides like these so you have lots to look at. 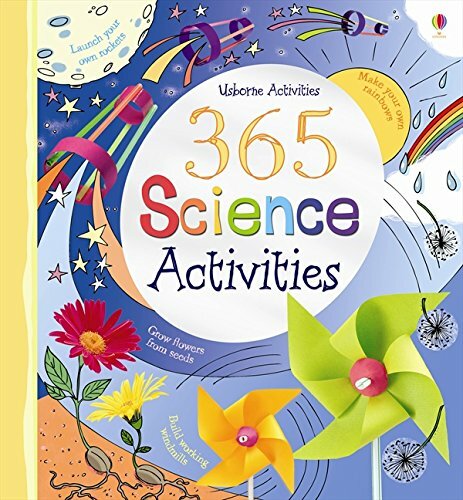 This is a classic science based gift for kids and one that I think is perfect for understanding life cycles and just enjoying nature at it’s best. It comes really highly regarded, but do be aware that you need to send off for caterpillars between March and September (you also need to pay postage) and they obviously don’t come in the kit. If giving as a gift it would be good to have the caterpillars ready, but it would be fine if the intended child was happy to wait a bit. 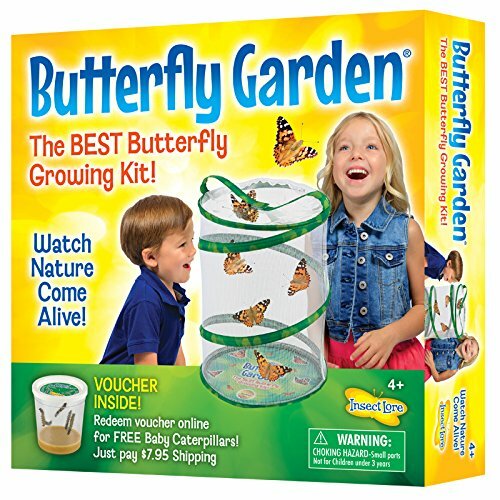 The kit comes with the butterfly habitat, a feeding pipette, full instructions on how to care for the caterpillars / butterflies and a voucher for your caterpillars. The whole set is reusable so you can try it out perhaps with caterpillars you find in the garden too. Once kids get older you’ll find there’s all sorts to get their minds thinking scientifically. Here’s some that we’ve enjoyed as our kids grew up. 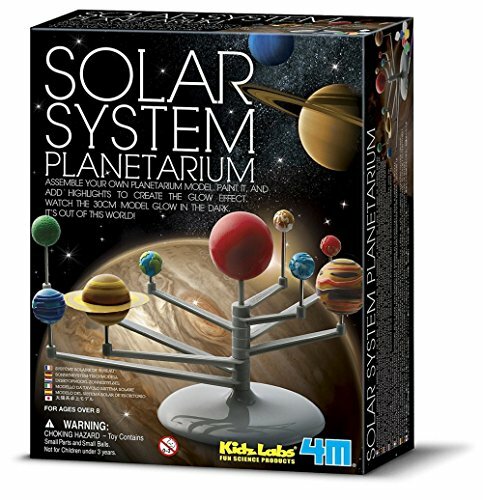 This is a planetarium model kit which is great for any kids with a passing interest in learning about the planets. It comes as plastic parts that you have to build up and paint to look like the planets so lots of opportunities to discover about their colours, why each one looks like they do and discuss the different sizes too. It’s marketed for ages 8+ because the painting can be fiddly to do. There’s a great sense of satisfaction on completing it though and I love the fact it can glow in the dark too. 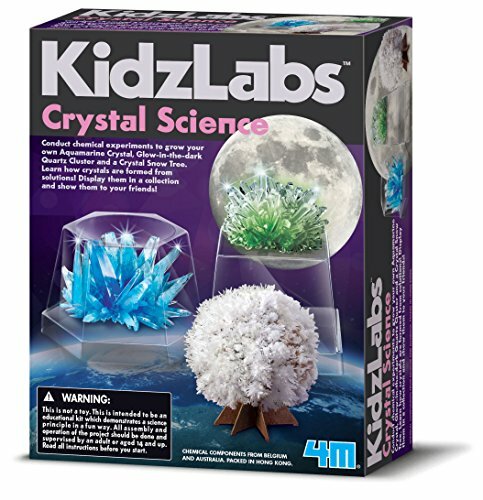 For older kids who have an interest in crystals and their formation, this small set is a really nice kit. It requires some patience as the crystals do take time to form but the end results are fascinating. You get enough formula to make 3 crystals, all different kinds. The set says for ages 14+ but I think it could definitely be good for younger children with some adult supervision. This was one of our absolute favourite kits we had when our kids were younger. The played with this set for hours so it’s great value for money. It’s essentially an electronics kit that allows you to build circuits, but the great thing about this is that it’s so easy because the parts snap together. Really easy and quick to change the components so no worries about it being fiddly for small hands. This set includes over 30 components and a booklet with over 100 projects to make which all are set up on the plastic base. It’s for ages 8 and over and will definitely last for a few years. 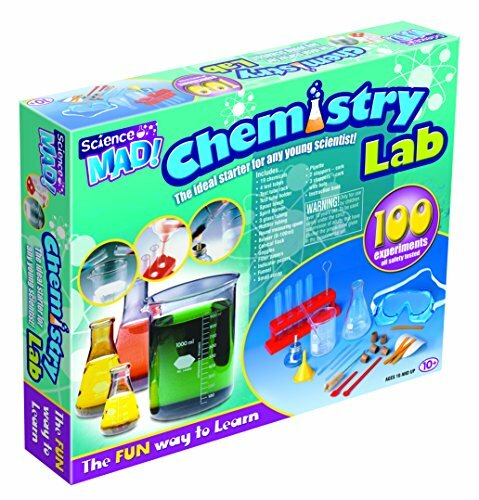 If your child is ready for a real and more grown up chemistry set then this one is a pretty good, yet inexpensive option. When I was looking for a set for my kids I wanted proper glass apparatus inside as well as ability to do some good and interesting experiments – this one fits that bill. You get 19 chemicals and 20 pieces of lab equipment in this kit and there are 100 experiments to be done with the booklet that comes with it. Highly recommended. Don’t forget a lab coat too! 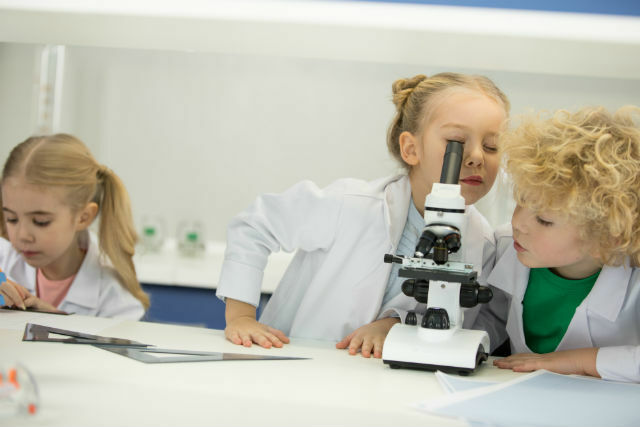 Finally we have a microscope and a good microscope is essential if your kids are looking to learn more about biology in the future or just if they are curious. It’s great to have a good quality one that they can learn to use properly. This one is by the Discovery Channel and even though it’s a low price range, I still think it’s an excellent entry level microscope that can be accessed by children as young as 8 (possibly younger depending on the child). One aspect that I like with this microscope, and others are following suit now, is that you can use your smartphone with it. There’s a special mount that you can hold your smart phone up to and take pictures or a video – a great update for todays kids. You also get 2 pre prepared slides, and 12 blank ones to make your own up, plus some sample pots and tweezers. 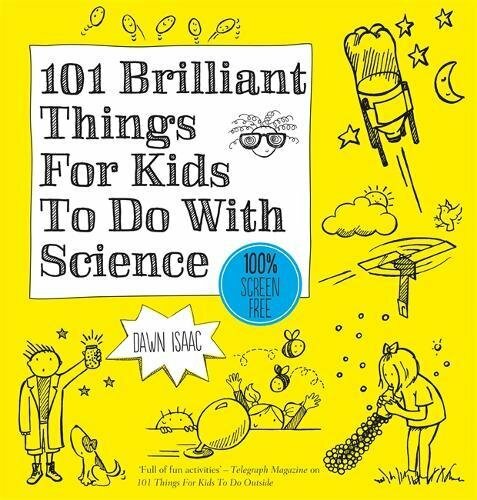 Getting some good books can complement these science toys perfectly. Here’s a couple of my favourites that we’ve enjoyed over the years.